When you need to cut concrete, it is important to tap the service of a professional contractor. A professional contractor will ensure that all your needs are met and the projects are completed satisfactorily. Our company provides the best concrete cutting service in Melbourne and surrounding areas. 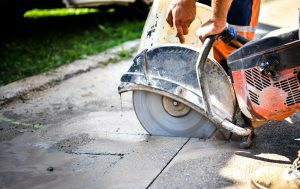 These are some reasons you will want to rely on our concrete cutting services. Too many contractors cut corners on concrete work. You don’t have to worry about that with us. We will diligently do every task. First, we’ll come to your property and take measurements and tell you what to expect when we do and finish the project. We will go through each facet of the concrete cutting process, describing how we will help you and let you know which tools we will use. From here, you will have the chance to sign off on the work and allow us to get started. In terms of concrete cutting Banyule, our service is second to none. Not only will you get high-quality work, but also prices that are at par with or below the competitors’. We’ll tell you exactly how much the work will cost before we begin any task. We will provide a written estimate of our concrete cutting services and will await further word before beginning work. With the quality work and reasonable prices, you will be satisfied with the results of your project. Get in touch with us for your concrete sawing drilling and cutting needs.